Fox Trace homes for sale are located off of Neely Ferry Rd. in Simpsonville, South Carolina. These properties start at a great price point and offer residents a great amenity package. As new construction Simpsonville homes, Fox Trace properties have great layouts, public schools and location. Residents are only minutes to downtown Greenville, shopping and more. 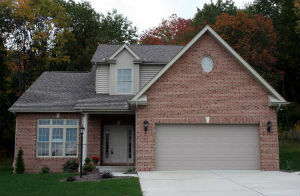 Interested in learning more about homes for sale in Fox Trace? Read more about community amenities and home features, or browse through our Simpsonville MLS listings that feature this community. If you're ready to take the next steps in buying or selling a property in Simpsonville, please call (864) 520-1000 or contact us online. We can help you learn more about Fox Trace homes for sale and other real estate opportunities in the area.